26 Years of Incredible Wine! Buying wine is easy, but choosing great wine is an art. Since 1990, we have been providing our clients with the world's finest wines at exceptional values and with excellent service. 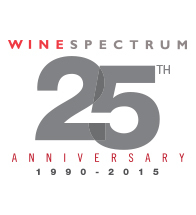 Just as good wine improves with time, Wine Spectrum believes in establishing long-term client relationships. You are our greatest asset! Wine Spectrum's Advisors taste thousands of wines every year, selecting the best quality bottles for you. We pair our refined palates with a business acumen that makes it easy for you to own some of the world's greatest wines.